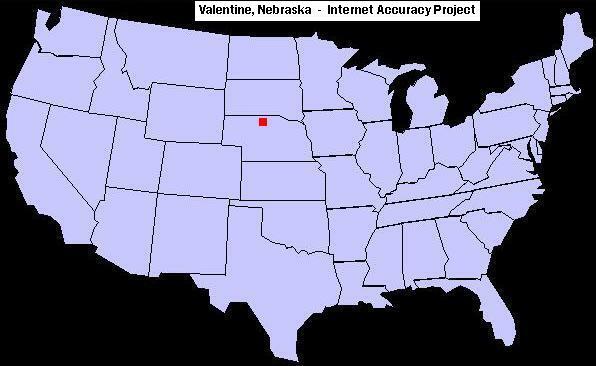 Valentine, Nebraska was an early frontier town set among lush grasslands just north of the Niobrara River. "America's Heart City" (as it's nicknamed today) was originally populated by frontiersmen, ranchers, the occasional outlaw and nearby Native Americans from the Sioux and Pawnee tribes. In the early years, buffalo, deer and antelope in the nearby Sandhills of Nebraska helped draw settlers and cowboys to the area. Valentine was named for Edward Kimball Valentine (1843-1916), a prominent Nebraska lawyer, judge and three-term U.S. Congressman. After representing the area from 1879-1885, the Republican Congressman returned to private practice. Badger, bighorn sheep, bobcat, coyote, eastern cottontail rabbit, fox, jackrabbit, mule deer, prairie dogs, pronghorn, squirrel, weasel, and white-tailed deer. The western box turtle and the snapping turtle have also been known to call the Sandhills home. Blue jay, chickadee, crow, duck, eagle, falcon, finch, geese, grouse, gull, hawk, heron, killdeer, loon, meadowlark, mourning dove, nuthatch, oriole, owl, pelican, red-winged blackbird, ring-necked pheasant, sandpiper, sparrow, swallow, swift, thrush, turkey, vireo, warbler, western kingbird, and the woodpecker. Trees and shrubs: Ash, boxelder, chokecherry, cottonwood, elm, hackberry, jack pine, ponderosa pine, red cedar, sand sagebrush and willow. Grasses: Big bluestem, blowout grass, Blue grama, bluegrass, hairy grama, indiangrass, little bluestem, needle-and-thread grass, porcupine grass, prairie cordgrass, prairie sandreed, sand bluestem, sand dropseed, sandhill muhly, sideoats grama, smooth brome, switchgrass, and western wheatgrass. For an extensive list of other fun town names in the United States, visit our page of unusual, bizarre or humorous names of towns. Also check out our page of U.S. towns with names associated with Valentine's Day or romance.